Join now for FREE by filling out the online form. 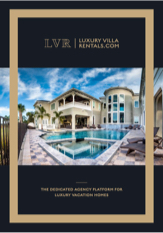 Once this is completed, a representative from LuxuryVillaRentals.com will be in touch with you shortly to verify your information. We are excited to start working with you and we hope to get you setup for future success.